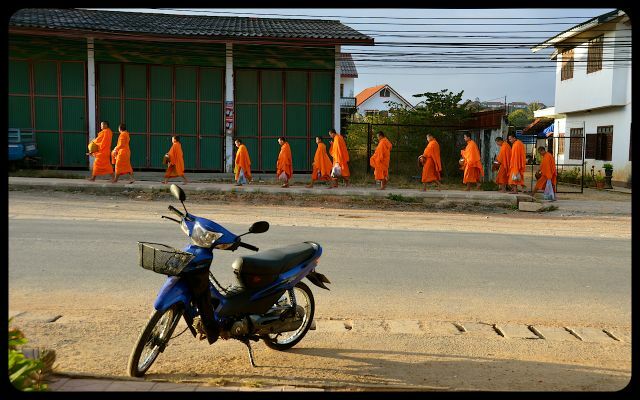 In Laos, as in other Theravada Buddhist countries, it is customary for monks to go on early morning alms runs, known as Tak Bat. They do so with almsbowls in hand, donning their traditional saffron robes and pounding the pavement or dirt roads with bare feet. Devotees place food – such as balls of sticky rice or bananas – into the monks’ bowls. 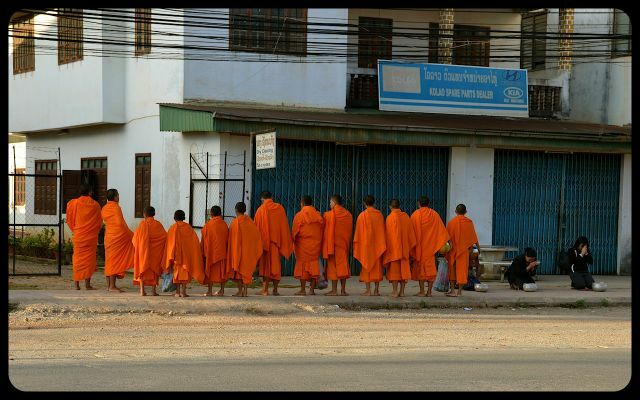 Afterward, the monks chant a prayer for them. 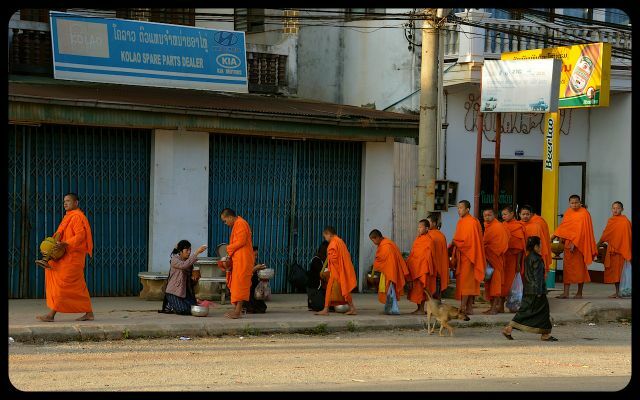 In tourist mecca, Luang Prabang, visitors flock in droves to witness the morning almsgiving run. These images were snapped in Phonsavan – a more remote environment in northeastern Laos. Though the setting is less-picturesque than that of Luang Prabang, the scene is more authentic than that which we witnessed in Luang Prabang. Unfortunately the spiritual component there has been overshadowed by commercial ventures and aggressive tourists. Buddhism maintains that the more one gives – and the more one gives without seeking something in return – the wealthier he or she will become. The almsgiving ritual then, allows Buddhist followers to take one of the requisite steps towards achieving Nirvana.